370 years ago, in 1644, York was surrounded by besieging armies, in the siege leading up to the battle of Marston Moor on 2 July. A few plaques around the city mark this period in the city’s history. One plaque fell off the tower at the end of Marygate years ago and has never been replaced. Perhaps an indication of the general lack of interest. We’re big on our Viking and Roman history, and enthusiastic about many other periods — most recently Richard III’s time — but the 17th century? The siege of York doesn’t seem to have aroused much interest. This modest ebook would like to help with that, in its own small way. I can thoroughly recommend it for making a complicated period intelligible in the context of the city and the visible evidence that remains. The Civil War period is I think often seen as rather dour and dull, and complicated, and hard to relate to. I thought so too, for many years. 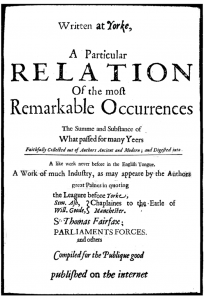 But eventually found a way in, and became a big fan of Thomas Fairfax, and an even bigger fan of 17th century pamphlets. And eventually set about writing this ’21st century pamphlet’ to share this enthusiasm, and to connect this important period in our history directly to the relevant locations in the city. Here’s a Google map I made a few years back, showing many of them. When we focus on the military ‘action’ we’re missing a bigger picture, one most of us can relate to more easily: what it would have been like to live here, in York and the surrounding suburbs, to have opposing forces fighting in our midst. Contemporary accounts of the effects of the siege on the residents — as reported by chaplains and other observers, and included in the ebook — bring it to life, bring it home, to the streets of York and its suburbs. 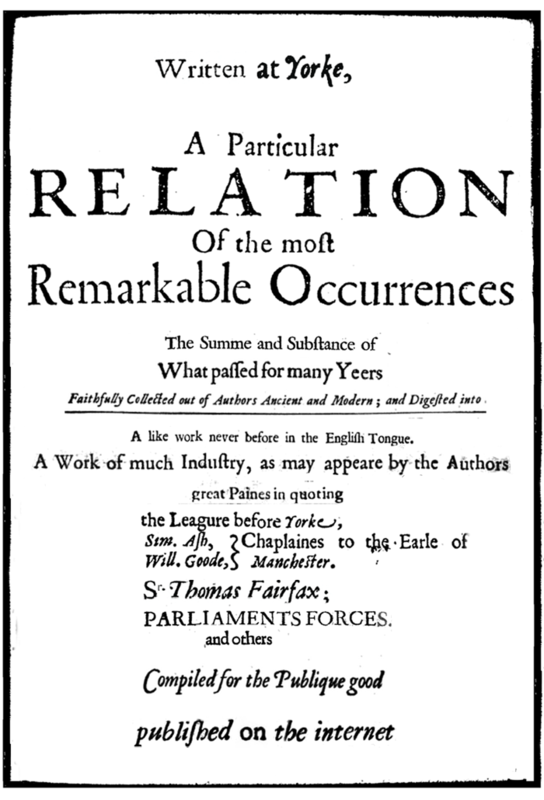 There’s also a fair bit about the Fairfaxes, and Thomas in particular. A hero back then. 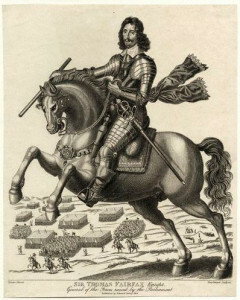 Here he is, on his horse, in a 17th century engraving. I published an experimental version of this short ebook back in 2011 and about five people read it. I’ve been wanting to revisit it and republish it for some time now, and it seems the best time to do so. It’s 370 years since the siege, which at this time in 1644 was particularly intense. 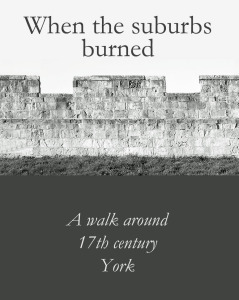 John Oxley, City of York Council archaeologist, is tweeting a day by day account of the events of 1644, and if this has kindled your interest, you might like this ebook for your Kindle … or indeed any other device. You may also like to follow John Oxley, City of York Council archaeologist, who has been reporting the events of 1644 under #SoY on Twitter. As one of the “five people” who bought this in its earlier version, I can thoroughly recommend it for making a complicated period intelligible in the context of the city and the visible evidence that remains. Yet more “hidden” history that shaped this great city. I took the lazy way and read in the comfort of my own home, picturing the streets I’ve tramped over the last 20 years but with a siege back drop I’d never appreciated. Having done that, I’ll be back on the street for a second look at the detail I’ve missed. I’d recommend this to visitor and resident alike – it’ll be worth paying more than the asking price. Thanks Andy and Colin for your kind comments – glad you enjoyed it.